The papal trip and attendant press coverage is the most recent reminder that Catholics make up a sizable portion of the U.S. population. Estimates place the demographic at 25 percent, though in the East and Midwest, Catholics comprise a larger portion of the population and in the South and West are growing more rapidly than they have in recent years. The pope’s visit not only caught the attention of active Catholics but also sparked an increase in curiosity in lapsed Catholics—said to be the second-largest “denomination” in the U.S.—as well as non-Catholics and even nonbelievers. Everyone seems to want to know more about the pope who visits the prisoners and the homeless and speaks out so eloquently for those on the “periphery”—the unwanted, the unseen and the unloved. The phenomenon Catholic publishers now call “The Francis Effect” explains why there are so many books in print—many of them best-sellers—with the pope’s smiling face on the cover. For non-Catholic Christian retailers, none of this is groundbreaking news, for they are seeing The Francis Effect as well. Perhaps less obvious is that even when the pope is not making the front page, stores owned by the general population of Christian retailers are likely to be serving many who are either Catholic or simply are interested in Catholic issues. While it is true that non-Catholics are less likely to buy Catholic books than Catholics are to buy non-Catholic books—Rick Warren’s The Purpose-Driven Life comes to mind—it only makes sense to stock titles that serve the Catholics whom Christian stores are attracting to keep them coming back. 1. Stock Catholic Bibles. As a Christian retailer, you may already carry several translations and paraphrases of the Bible, but there is one edition you must carry if you want to serve the Catholic market. Our Sunday Visitor publishes a full line of Bibles, and virtually all of them are the New American Bible, Revised Edition. This Bible has the approval of the U.S. bishops. Keep in mind that you can tell if a Bible is approved for Catholics if it has an “Imprimatur” on the copyright page. It is also the Bible most likely to be used in the liturgy and in religious education programs. Stocking this Bible is a must-have for any Christian retailer serving the Catholic market. Our Sunday Visitor Bibles range from gift editions to Bibles with added features such as The Catholic Answer Bible and Bibles designed for men and women. Pope Francis recently suggested that part of every Catholic’s spiritual first aid kit should be a small volume of the Gospels, and we responded to his suggestion by publishing a pocket-sized volume with the Gospels and Psalms. 2. Remember the basics. While younger Catholics may be just as quick to use an app to find a prayer, many Catholics continue to rely on prayer books and Missals. A wide range of prayer books meet needs related to people at different stages of life. They address the needs of the family, the divorced, the widowed, the child, the young adult, men and women. Prayer books are a good item to stock in Spanish as well since researchers know that even when immigrants or the children of immigrants speak English, they take deep comfort in praying in what was likely their first tongue. The Missal is a particularly Catholic book. Our Sunday Visitor publishes the Daily Roman Missal, an all-inclusive volume with all the Scripture readings for Mass—nearly the entire Bible—as well as additional prayers and the liturgy of the Mass. The Daily Roman Missal also includes daily and seasonal readings. Most churches provide disposable missals—called missalettes—for parishioners, but a segment of the market is willing to pay for a well-designed, well-edited and sturdy Missal. Often, purchasers of these Missals go to Mass daily, though some may simply want to follow the Mass readings from day to day in the comfort of their own homes. 3. Keep the kids in mind. Dedicated parents want to pass on the basics of the faith to their children, but others help too. In many Hispanic families, the grandmother, or the abuela, teaches her grandchildren the basics of the faith. Likewise, Catholic grandparents take an interest in teaching prayers and Bible stories to their grandchildren. Our Sunday Visitor provides books such as the Catholic Prayer Book for Children, Little Acts of Grace and Catholic Bible Stories for Children. 4. Prepare for the sacraments of initiation. The sacraments also present opportunities to visit a Christian store. Baptism, First Eucharist—or First Communion—and Confirmation are the three Sacraments of Initiation, and they are often celebrated with parties and gifts. 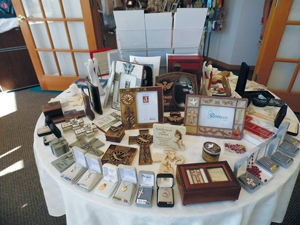 Prayer books, Bibles and other gift items are common gifts at this time. While baptisms can occur any time, First Eucharist and Confirmation are usually celebrated in the spring. And it won’t be just one child but an entire class or grade, so keeping well-stocked for spring is important. Along with the sacraments of initiation, weddings are also a good time for gift-buying. 5. Offer resources to deepen Catholics’ knowledge of the faith. While most Catholics are baptized as infants, adulthood is a time when many believers want to make their religion their own, not just a habit inherited from parents. This desire to know more about one’s faith can happen at any time, but often the arrival of children and other adult responsibilities engender a desire to grow or to seek answers to vexing questions. It may be a crisis—a job loss, trauma, death or divorce—or a life-changing spiritual encounter that fills a person with the desire to know God better. Our Sunday Visitor is among the Catholic publishers that offer many books intended to fill the need for a greater knowledge of the faith, from Bible studies by Fr. Mitch Pacwa to instructional titles such as Where Is That in the Bible? and inspirational books such as Casting Nets: Grow Your Faith by Sharing Your Faith. Many of the 30 or more new titles Our Sunday Visitor brings out each year aim to connect with those customers you have who are yearning for a deeper relationship with the Lord. 6. Stay up-to-date with the local parish. Keep in touch with what the parishes are talking about by maintaining a relationship with Catholic leaders in your community. Cultivate a relationship with the pastor or religious education leaders at your local Catholic parish to find out what is current—a feast, an event or a special topic for small-group study, for instance. Here’s one idea: The Jubilee Year of Mercy for Catholics starts in December and lasts for 12 months. This Jubilee Year was called by Pope Francis, who speaks often of the importance of mercy in the world today. Our Sunday Visitor was chosen to be the official worldwide English-language publisher of a series of eight books on mercy specially commissioned by the Vatican. Celebrating Mercy, The Psalms of Mercy, The Parables of Mercy, Mercy in the Fathers of the Church, The Saints in Mercy, Mercy in the Teachings of the Popes, The Corporal and Spiritual Works of Mercy and Confession: The Sacrament of Mercy are slim volumes for individuals or study groups and book clubs. Bear in mind that almost everything happening in the Catholic Church in 2016 will be invoking the word and concept of mercy, so this is an important series that parishes will invest in and encourage others to buy. 7. Don’t forget the pope! Not every pope is a best-seller, but this one certainly is. Pope Francis sells books. 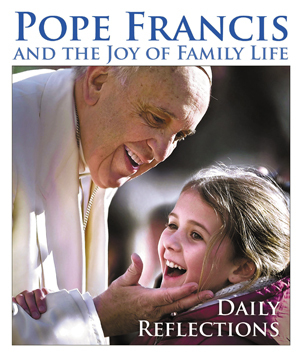 Our Sunday Visitor has published 11 books about or by Francis, most recently a special collection of the speeches and homilies he gave during his trip to Cuba and the U.S. titled Pope Francis Speaks to the United States and Cuba: Speeches, Homilies and Interviews. Kevin Cotter’s A Year of Mercy With Pope Francis is a best-seller, and we have many other titles as well. Even his most recent encyclical, or teaching document, called Laudato Si’: Care for Our Common Home has been a best-seller not only for Catholics but also for many who are concerned about the planet and the poor. While every retailer competes with the online giants, the Christian retailer can provide a unique service by guiding the Catholic customer to exactly what he needs, whether seasonal, sacramental or simply inspirational. While some communities have a Catholic bookseller, the Christian retailer often has an exclusive opportunity as a brick-and-mortar store to serve this important market. And depending on location, Catholics could be a significant portion of your customer base. Greg Erlandson is publisher of Our Sunday Visitor (osv.com ) and also has retail book sales experience. Most recently, he served on a special committee helping Pope Francis reform the Vatican’s media efforts.